How Effective Was Your Text Message Campaign? SMS campaigning is far more responsive as compared to email marketing but it involves money and time to generate revenue out of responses received. Simply sending the sms isn’t enough these days. You need to keep a proper tracking at each aspect. 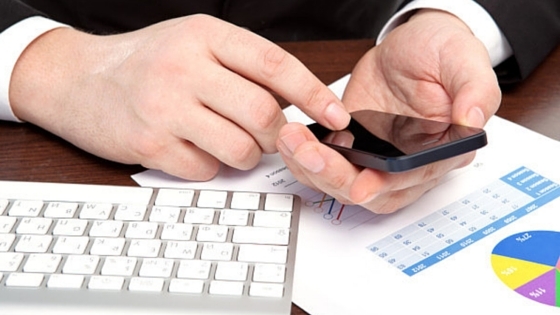 This process only may provide you the results of revenue generated by sms campaigning. Knowing only that the sms is better than email will not yield anything. One need to get involved behind the curtain to pull the results out and maintain the statistics clean. Here in this article we will discuss some points to enlighten about the sms campaign monitoring process. In a text message, which is written and sent to promote, sale the product, associated links are inserted to guide the reader and let them land on the necessary page. Using proper tools the links can be tracked to find out the click through ratio. Those who are clicking on the link and following the path to reach landing page must be interested at present or in future. So, this will be a positive reading by the subscriber. As per the sources click through rates of an sms is approx. 9% to 20% and is way much higher compared to email marketing. Using potential keywords in your Call-To-Action area will attract the readers and force them to proceed further. Use a catchy keyword or phrase to create your CTA button. One may also track the CTA clicks also using a proper tool, as CTA will involve links, contact number, and coupon code for interaction. Using the different-2 links and keywords in different-2 messages and sending these sms will help find the best responsive link and keyword in the sms. This can be regularly practiced to partition responsive keywords from those, which are not responsive, and hence you may create revenue generating text campaigns. Never send a business sms campaign without including a contact number for callback or for miscall. A vanity number will be best to include. Vanity number holds the power to grab the attention and if it is a Toll Free number or a miscall number then results will be far more better. 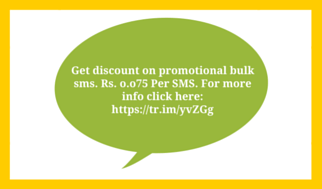 Inserting a coupon code in the promotional sms may help earn certain leads. Also, using coupons will help you track the users interested to grab the offer. Providing coupon in the form of links will enhance the tracking to more concise result. Redemption ratio decided about how many subscriber took action and at least visited your website. One may track how many subscribers responded and how many can be treated idle and how many dead. All this will depend on the action taken by the subscribers for one text message. URL shortener is a tool used in text messages that shortens the full link to a smaller one to fit within the 160 characters. This is an economic option, which reduces the number of sms credits used for a single subscriber. Sarv is also be integrating the option in the sms tool. Tracking of such links, who followed the link, is possible and accordingly you may create multiple sms containing short links to find out the ideal one. 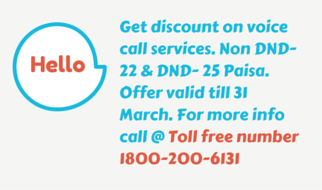 Never ever one should forget to provide the easy opt out option from the promotional sms. This will make your subscribers comfortable with you and your way of working. There is no use sending sms again and again to a subscriber who is not interested, as it will only annoy him. Let your subscriber choose if they want to walk with you or not as it will save your sms credits which can be used for interested subscribers. 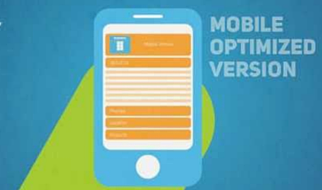 Mobile optimized landing page is very essential in sms campaigning. If a link is used in sms then it becomes necessary to build a mobile optimized website or you may also use the link for downloading the app. But more sounding will be to create a mobile optimized website first and building app only if it is demanded. A beautiful landing page will let the visitor follow the links and using proper tools it is also possible to track these steps and create the success reports. There is no shortage of tools and tricks in this growing technology world. The need is to use right tool for a particular campaign. All campaigns do not need links and some cannot give results without them. So, study your business and your subscribers and run some hit and trial tests to find the best tool.